I recently took a workshop with Richard McKinley. 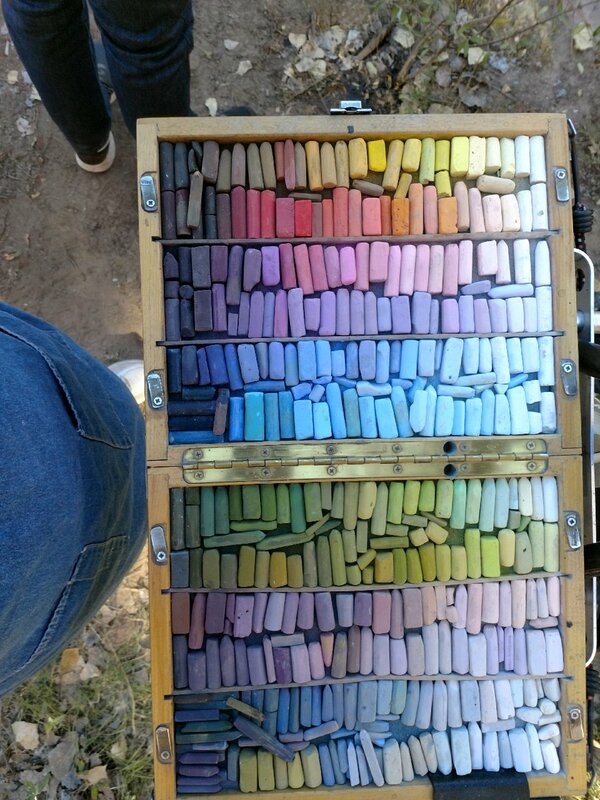 He likes to work in a high key range and has very few dark pastels in his box. 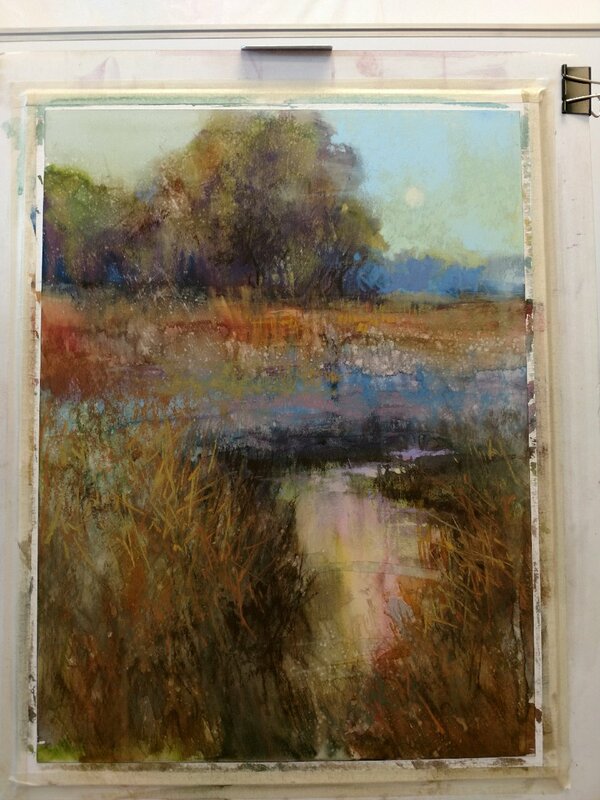 Here's a few photos from the workshop showing his watercolor underpainting and the finished studio piece. 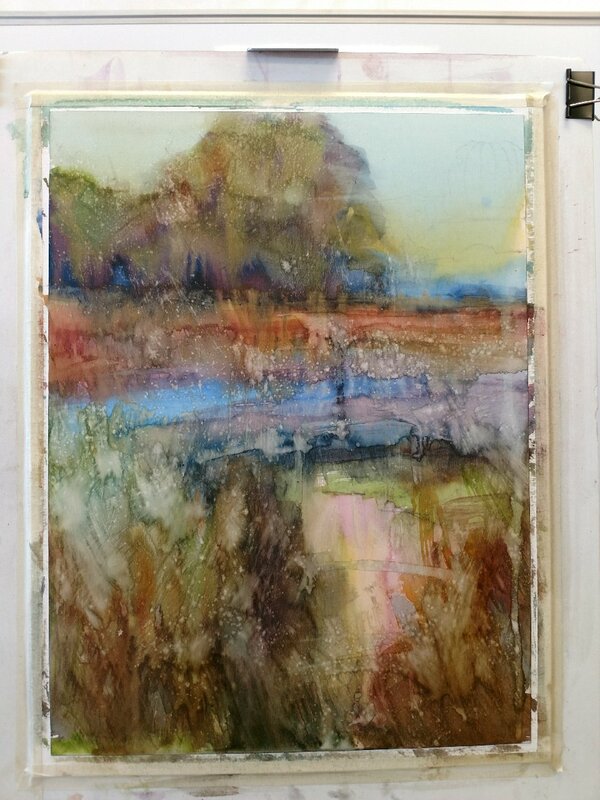 Watercolor underpainting for the studio demo. This is the palette he used. He likes to work in a high key so there were very few dark pastels. Richard has the ability to talk while he demos and has so much information to share! He's a truly gifted teacher!